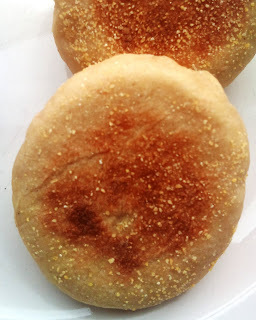 English Muffins on the menu today! 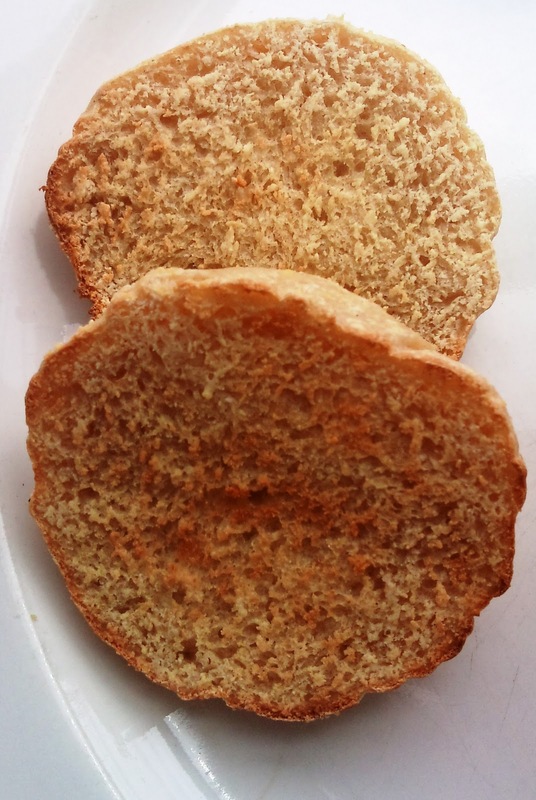 English muffins are small white bread-like rolls that are delicious when toasted. Ideal with sweet or savoury toppings they are a great alternative to regular bread and are great for lunch. 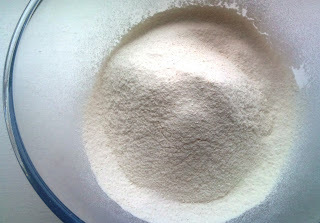 Sift the flour, baking powder, salt and baking soda into a large bowl and make a well in the centre. Next, mix the water and yeast together in a jug or cup and stir to combine. In a separate jug, mix the lightly beaten egg and milk together with a hand blender until it's well beaten. Next, add both liquids to the to the flour and stir to combine with a wooden spoon or spatula. Tip the dough onto a floured board and dust again with flour. Knead for approximately 5 minutes until it comes together. Spray a bowl with a couple of sprays of the spray oil and add the dough. Spray a sheet of cling film with a little spray oil and cover the bowl. Allow the dough to rest in a warm place for about 45-60 minutes until it has roughly doubled in size. 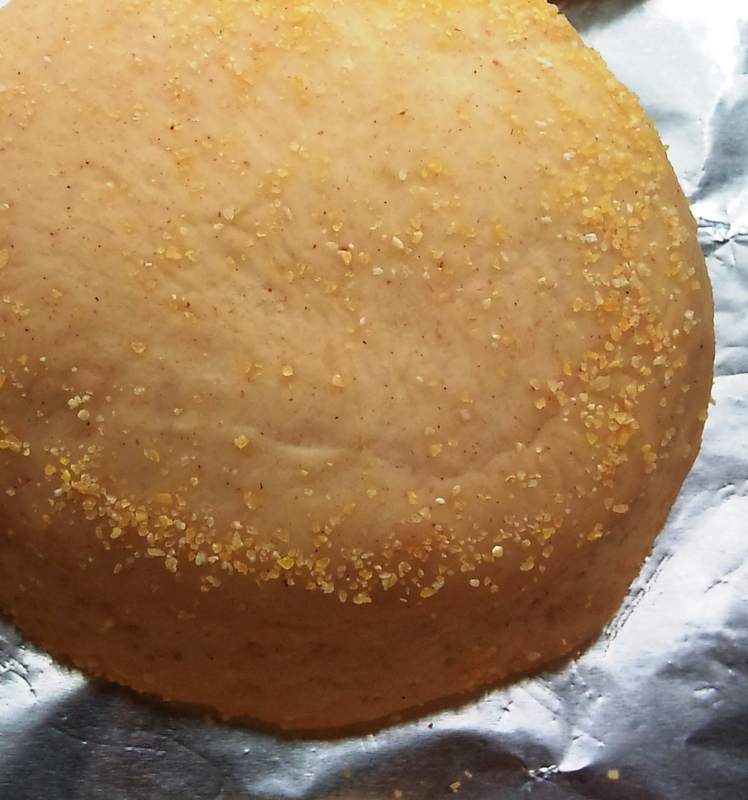 Once the dough has rested, tip it onto a floured board and roll out until it's approximately 1 inch deep with a rolling pin. Next add the maize meal or polenta to a baking sheet or large plate and shake to distribute evenly. Next, using a glass or cookie cutter, cut the dough into small rounds. Transfer these to the maize meal/polenta and coat both sides. Continue to shape, re-roll and cut until you've used all the dough. Spray a little more spray oil onto some cling film and cover the shaped dough. Allow to rest again for approximately 45 minutes. To finish the muffins, heat a large frying pan to a medium to high heat. When it's hot, gently dry fry the muffins for 5-8 minutes, turning regularly, until they are lightly coloured. It's best to cook them in two batches. Transfer to a plate to cool when done. They will keep for a couple of days if stored in an airtight container or biscuit tin. To serve, slice in half and toast until golden brown and top as required.